Vela Woven Squared Corner Module serves a beautiful standalone chair, but exquisite when paired with Vela Modular seating. Vela mixes edgy designs with traditional woven materials enhancing the atmosphere of any setting. 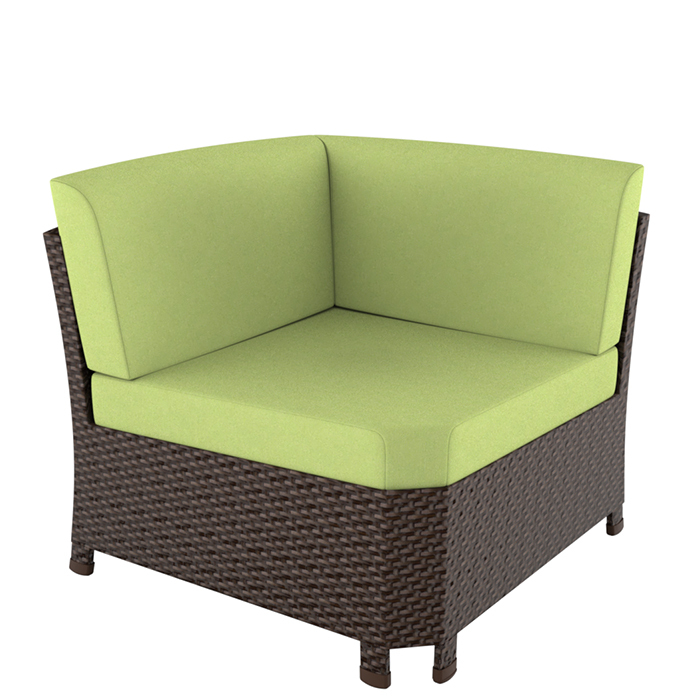 Vela is available in the Strand Synthetic Weave, which is weather-resistant and available in three colors.